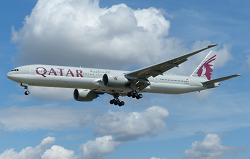 The Qatar Civil Aviation Authority (QCAA) released the Preliminary Investigation Report. Qatar Airways flight 778 just got airborne from runway 09 when its undercarriage struck approach masts of the opposite runway resulting in serious damage. The aircraft lined-up on runway 09 via taxiway „Tango 1“, reducing the available take-off distance by approximately 1370 meters (from 3968 meters to 2600 meters) and commenced its take-off run after receiving ATC clearance. It is understood the Boeing 777 used the entire lengh of the runway until its mainwheels left the ground. Immediately after getting airborne, some parts of the aircraft collided with a number of approach lights, atop a series of 6 meters tall masts. 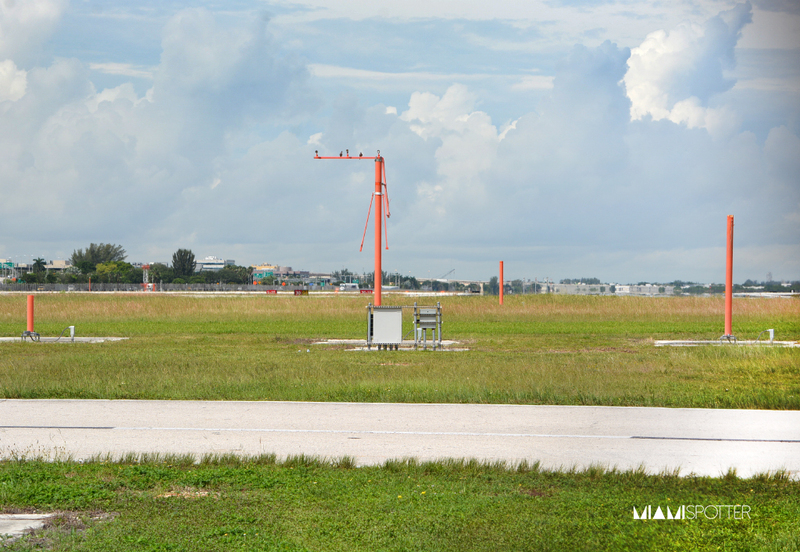 The damaged approach lights were located about 60 meteres behind the end of the paved overrun area and about 180 meters behind the runway threshold. All ATC transmissions were routine all the way from taxiway „Sierra“ until handing-off to departure control. 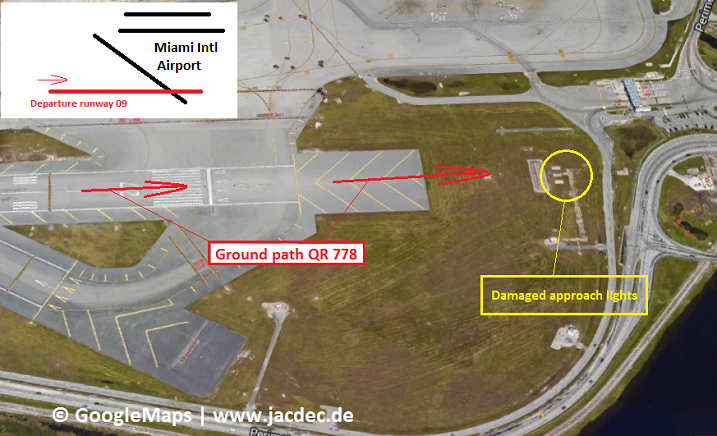 Qatar Airways flight 778 continued to fly to its destination where the aircraft made a normal landing. After landing substantial belly damage was detected during an outside inspection. It was dark at the time of the occurence. 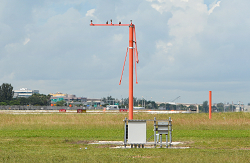 The local Miami Airport weather consisted of cloudy skies with occasional rainfall, but good visibility.